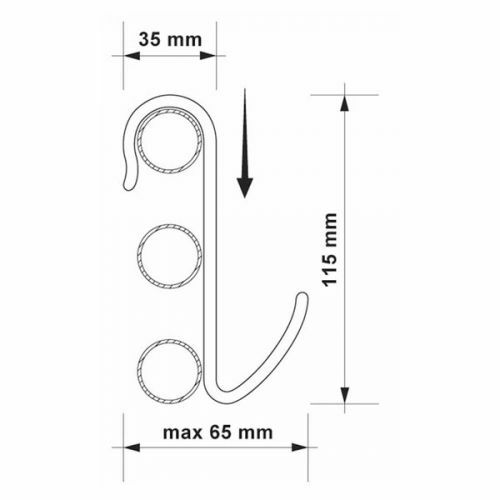 Increase the storage space of your towel rail with these ingenious bathroom towel hooks. 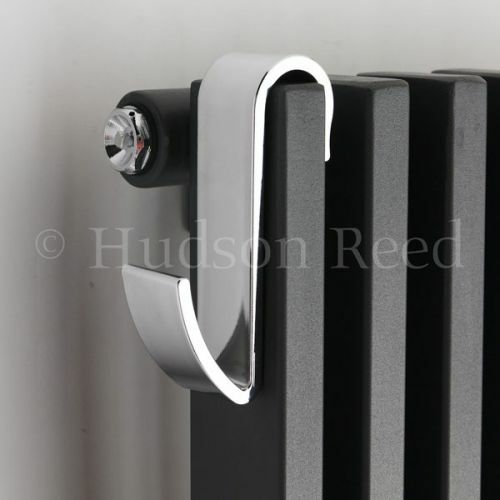 The smooth chrome finish will not mark your radiator and simply loops round the bars or top surface of the radiator. 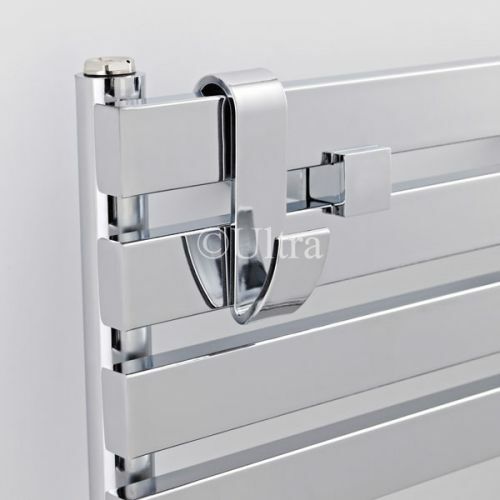 Works even with flat panel contract style radiators. They're also light and can easily be stored away when not in use. Why not get one each?